Elizabeth Vrenios: Mozart, Bach, Ravel, Billy Collins, Hayden Carruth, Pablo Neruda, Marge Piercy, Sharon Olds, Linda Pastan, Jane Hirshfield, Paisley Rekdal, Elizabeth Bisho, Rumi, Jane Kenyon, W.S. Merwin. EV: My lenses have become compassion, love, gratitude, humor. I love the lense of sound, meter, alliteration and assonance. Metaphor has emerged which has enabled me to appreciate the life situations of those around me. EV: The light bulb turning on of a student whose "ah ha" moment occurred right before my eyes. EV: My chapbook, Special Delivery which is a labor of love speaking to the miracle of my son, Nicholas who perished in the Pan am 103 crash over Lockerbie, Scotland in 1988. EV: Compassion, love, serendipity. I love the surprise of a compassionate response to tragedy, the serendipity of miracles in our everyday loves and the unexpected vulnerability of love within the human spirit. EV: Paying forward has become the burning passion that brings me alive. Teaching, mentoring, funding young talent and giving them the courage to believe in themselves. There is not enough courage in the world today - especially in women. Each response I make to someone has to be measured, weighed and held up to the light. I constantly filter how I can lift the human spirit in the young talent that burgeons around me. EV: The open space of the west that allows me to see the vastness of the clouds, the myriad of stars (which cannot be seen in the cities) and the surrounding mountains that change color with each change of the sun. The spaces allow me to see the sunsets and to feel the power of the Pacific ocean. EV: Who's to Say It Is Impossible? Elizabeth's poetry has been featured in many online and print journals such as: Clementine, Kentucky Review, Two Cities Review, GFT Press, Page and Spine, Form Quarterly, Bethlehem Writers Roundable, and in issues of Hurricane Press, Poeming Pidgeon Unsplendid, the Binnacle, Evening Street Review and The Edison Review. Her prize winning chapbook, Special Delivery, (a work which plumbs the depths of grief, centering around the poet's twenty year old son, Nick killed in the 1988 terrorist attack that destroyed Pan Am 103 in midair over Lockerbie, Scotland) was published by Yellow Chair Press in the spring of 2016, and she has been a 30/30 poet for Tupelo Press. 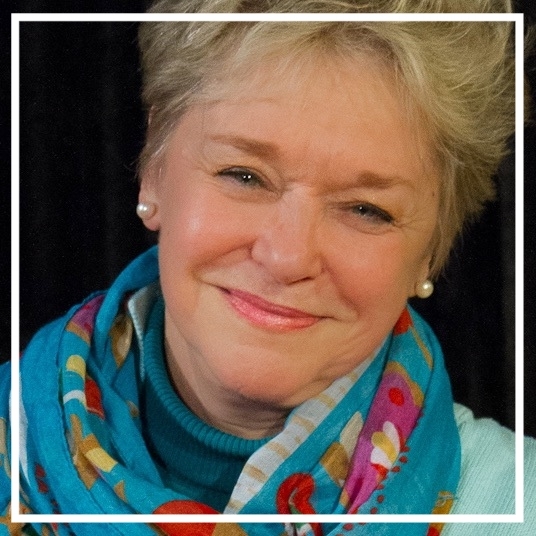 She is a Professor Emerita from American University, and has spent most of her life performing as a singing artist across Europe and the United States. Find her work here.